Do you want to get a good, low-impact workout in the comfort of your house? An exercise bike might be the answer. There are many reasons you might want to buy one, therefore read these 7 exercise bike reviews in which we included both, best budget and best high-end products. 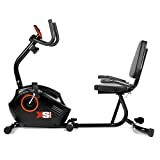 But first, we’ll start with a comprehensive buying guide so you can have a good idea what to look for in a good exercise bike. After that, we’ll take you through a series of best exercise bikes that you can buy online in the UK, but we’re looking at these holistically, analysing both their advantages and their disadvantages. If you’re in a rush, here is a table with the products we’ll talk about in this article. 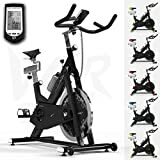 You can read each individual exercise bike review further down. There are plenty of questions that pop into your head before making any big purchase, especially if you want the best exercise bike for home use. We’ve tried to put things into order in our short buying guide below, so read along. You can find out more about each of these further down. If you don’t have a lot of space in your home, or if you want a portable bike, you can get one that’s smaller and more compact. Still, that sort of bike might prove a bit wobbly, so it’s not for heavier people. On the other hand, a heavier, bigger bike, is also more sturdy, which is great if you’re planning to use it on a regular basis, for years at a time. It might mean you need a bit more space for it, but that can be a worthwhile sacrifice. If you want to use your bike for gradual training, you need multiple resistance levels, with a smooth transition between them. 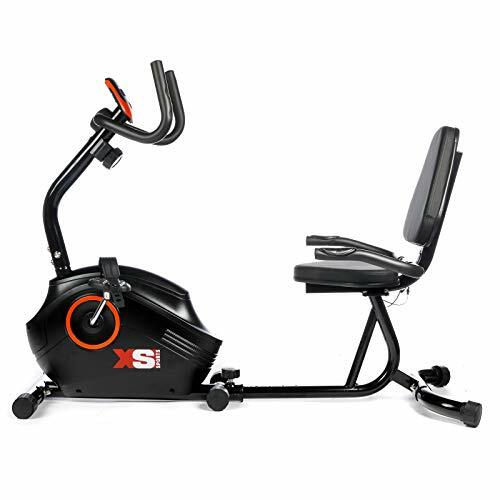 Of course, the more resistance levels you have on your bike, the best this fitness machine is to accommodate different fitness levels, which might actually vary even depending on your mood or how stressful your day was. But even if you’re just looking for a basic aerobic exercise and aren’t too concerned with multiple resistance levels, you need to check the lowest and the highest. That way, you can ensure the workouts won’t be either too hard or too easy for you. If you want a big resistance, though, the flywheels have to be particularly heavy, which means the first rotations will be very difficult. Besides, the flywheels also need to be heavy and big for a high max resistance, which makes the bike huge. 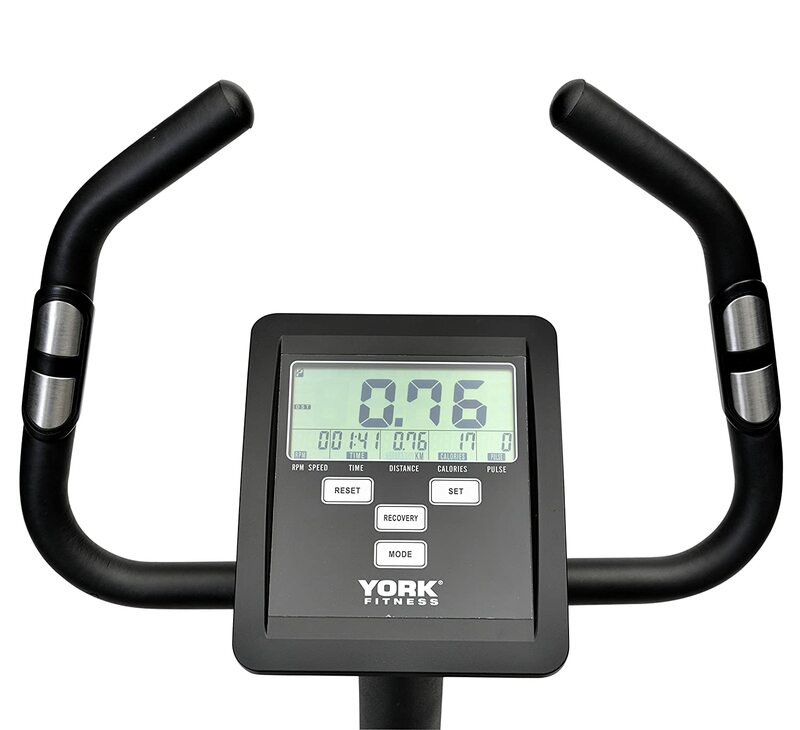 The display on your exercise bike has to be easy to read, as well as easy to operate. You might also be interested in a LED backlight, particularly if you’re exercising in a darker room. 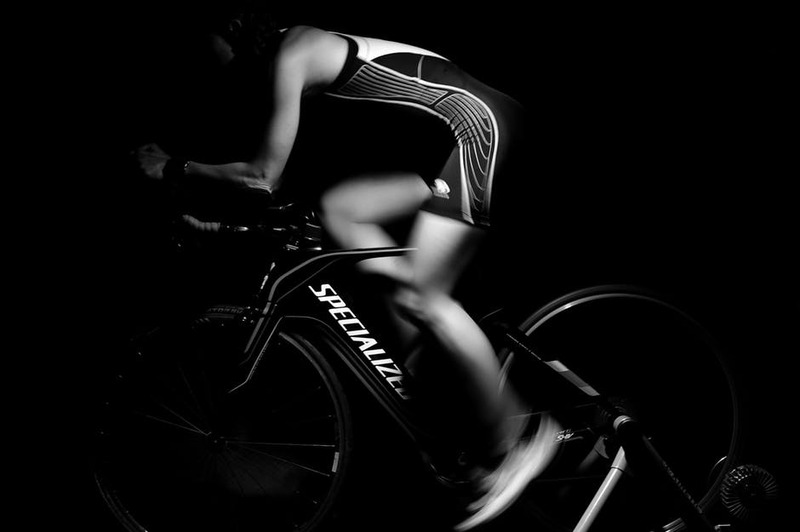 The usual stats displayed on most exercise bikes include calories, speed, distance, and time. But some of the best indoor bikes also offer heart rate measurements, courtesy of either built-in sensors on their handlebars or an included chest strap. These stats are important if you want to track your progress and plan your fitness objectives better. The number and type of programs offered are also important to make sure you get the most out of your workout. Choosing a program that’s specifically tailored to your strength and stamina is a sure-fire way to improve your fitness level in no-time. So the number of programs offered is important from this perspective because you want versatility and space to improve. Besides, changing between programs is a great challenge and an awesome motivation. However, their type is also important, so you might want to look into customisable programs if your goal is to get tailored workouts. This can be a problem for when you’re choosing an exercise bike. If you’re already weight-challenged, you need to get a bike that allows users with bigger weights, which implies getting a heavier, solid bike. You should take into account your weight when you’re completely dressed, with shoes on. And if your weight is near the superior limit, you can expect some wobbling, unless your bike is really sturdy. Depending on your purposes, you might want to consider other design particularities offered by a certain bike. For instance, some people who don’t have a lot of space in their homes and who only want to exercise indoors during the colder seasons might want a foldable bike. If you’re looking at a lot of time spent on this bike, and if you have lower back problems, you might also want a very well-padded seat. You should look for non-slip pedals and handlebars, particularly if you tend to sweat a lot. In fact, a secure strapping system is always a plus. Apart from that, there are always the nice extras that show interest in the user experience, like a place for your towel and your water bottle or built-in speakers for some extra motivation. And if you really like gadgets and technology, a bike with a Bluetooth connection might be a dream come true seeing as you can connect it to a fitness app or keep better track of your progress. 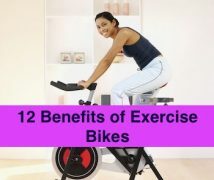 With these characteristics in minds, it’s time to look at some of the best home exercise bikes on the market. We’ll take you through some very different products to make sure you find one that fits, and we’ll compare their pros and cons to help you make the right choice. 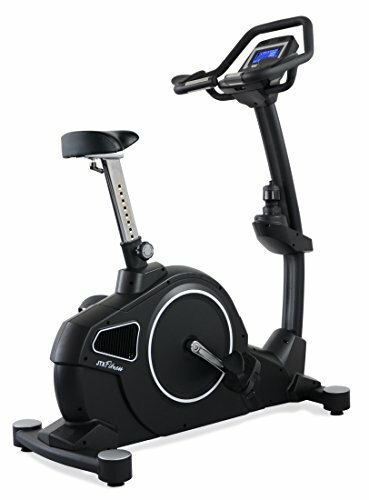 Upright bikes allow you to have a similar position as on an outdoors bike, though not as low-profile because of the high handlebars. With large, comfortable seats, these bikes boast a brake system that allows you to stop pedaling right away. 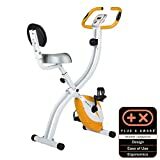 The F-Bike 200B is among the best cheap home exercise bikes, which is a plus if you’re on a budget. It is foldable, wich is a great plus but even the unfolded dimensions aren’t that big, so this bike won’t take up half your living room. Besides, its curved folding design really saves you a lot of space, but you can’t completely fold it unless you remove both the chair and the computer. Still, that takes very little time. With its 8 different resistance levels, you will get a hell of a workout if you choose the right intensity for your needs. However, the maximum user weight is just around 100kg, which is a bummer for heavier set people. 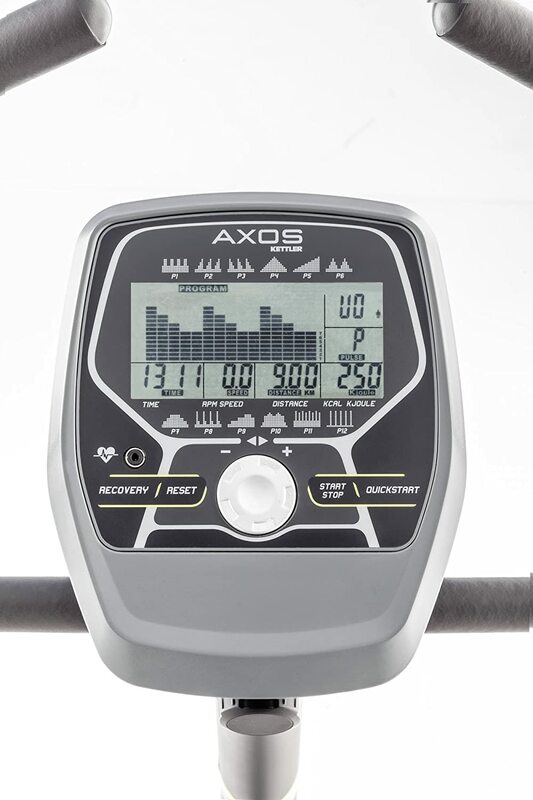 We love the LCD screen on this bike, it’s very easy to read, and it also works as a computer, so you get accurate readings of the time, speed, distance, and calories burnt. And thanks to its hand pulse sensors, you’ll get a pretty accurate pulse measurement, which is surprising for such an affordable bike. We also love the seat backrest because it’s sturdy and padded, although the main seat needs a bit more cushioning. And bonus treat: this is a very silent exercise bike too, so no annoying squeaks when you’re working out. 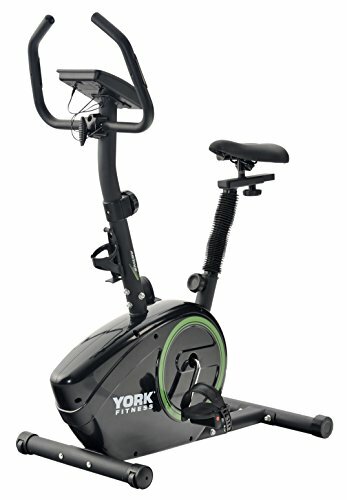 In the world of the best upright exercise bikes, this York Fitness bike also earns the title of the best mini bike, because it’s compact, lightweight and sleek. It’s also not extremely expensive, and it boasts plenty of characteristics that will make you fall in love with it, especially if you’re a beginner. 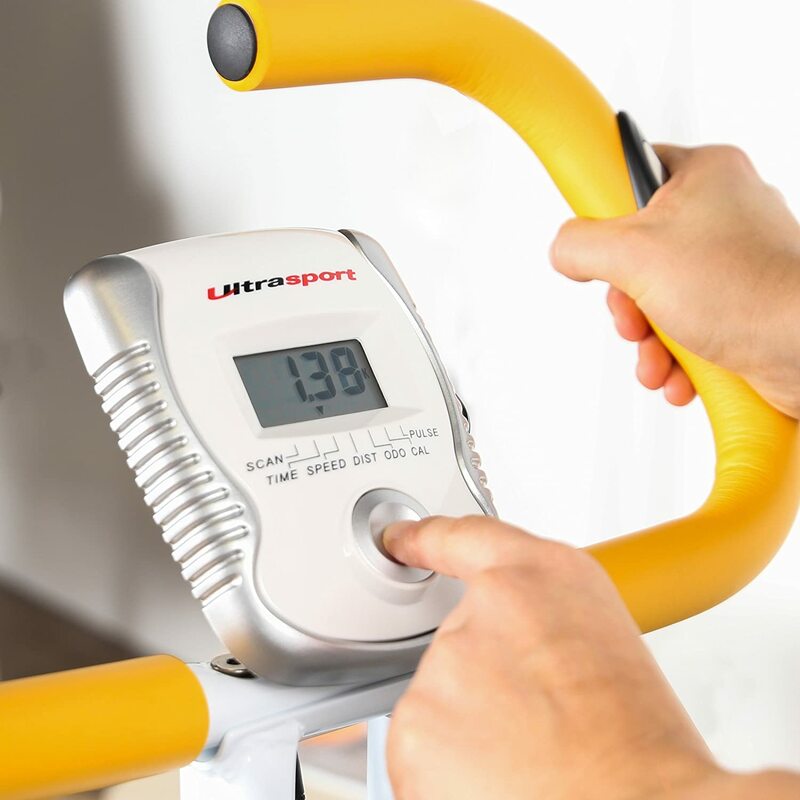 For instance, just like the Ultrasport F-Bike 200B, it has 8 different levels of magnetic resistance, so you can set the difficulty level yourself and get an awesome workout. There are hand pulse sensors here too, but they’re not extremely accurate. Still, the included heart rate monitor is a plus considering you’re at least getting an idea of your heart rate. The whole bike functions well, and we love the comfortable saddle. In fact, the padded seat is very large, just like the handlebars, so you can get a great grip. Besides, it only needs a couple of AA batteries to work, which are included in the package. On the other hand, it will take you a lot of time to set it up – you can have it installed at your place if you’re willing to pay extra (quite expensive). However, although the max user weight is 120 kg, this bike might wobble when you’re using it if you’re heavier set, which feels a bit cheap. Still, we love the self-leveling pedals with their secure straps, as well as the drink bottle holder, it’s always nice to find little signs of interest in user experience. 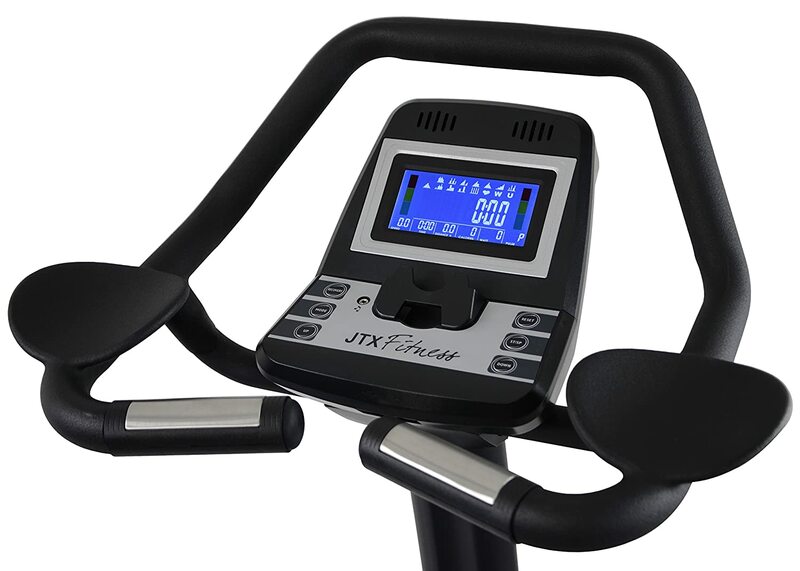 If you’re looking for the best exercise bike for weight loss and want to train like a pro, the JTX Cyclo-5 is a feature-packed indoor bike, which is reflected in its steep price. To begin with, we can’t help but notice its sturdy, heavy-duty construction that has quality seeping through its every pore. However, this makes it heavier too, therefore it’s not a typical small, compact, easy-to-move bike. We love the seat most because it’s very comfortable thanks to its padding and ergonomic design. You also get the race style handles, seeing as they’re upright. So basically this is the sort of training bike you’d find in a gym, so it’s the best kind for fast weight loss. There are plenty of other features that recommend it for expert training, though, like its included chest strap for very accurate heart rate measurements. With a 17 flywheel – yes, heavy! – you get 12 different resistance levels, so the transition between them is very smooth and you can finely tune the difficulty level to your fitness capabilities. Besides, we can’t help but notice how ergonomic the design is, thanks to the QUADRI-SET™ adjustment system. The computer has a Bluetooth, so apart from tracking all your stats, it can also link to a fitness app and offer you interactive videos. JTX is famous for offering you the possibility of working out in different cities around the world, which is a nice change of pace and does wonders for your motivation. Speaking of motivation, this bike has built-in speakers, as well as a water bottle holder. We also appreciate the good warranties, 3 years for replacing and in-home repair, as well as a lifetime warranty for the frame. Recumbent bikes have a unique shape, thanks to their seats that look like chairs and the front pedals. But that’s what makes them really great for mobility-challenged people or people with lower back issues. You can also work your lower body to a higher degree because you’re isolating these muscle groups, so you can actually build more strength. 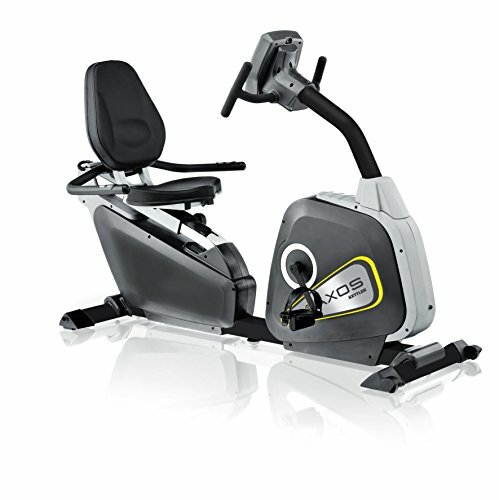 Moving on to some quality recumbent bikes on the market, this XS Sports bike is the best exercise bike for seniors or people recovering from injury. That’s because it doesn’t offer a big resistance, not even at the highest level. Still, you can juggle between 8 resistance levels, keeping in mind that you might not get a real challenge if your fitness level is already through the roof. However, we love that you can burn plenty of calories even so, and keep in shape. The wide pedals are great in terms of grip, and the foot straps also help. Just like the Ultrasport F-Bike 200B, to which it has a similar price, this bike offers built-in pulse sensors, but these are less accurate. However, all the other stats work well, meaning you’ll get accurate readings of your speed, time, calories, and distance. And unlike other affordable bikes on the market, this one has an odometer too, so you can rely on very accurate distance measurements. Besides, with a 4 kg flywheel, this bike is fairly lightweight, and the good news is that you can also backpedal on it. The max user weight is a bit low, just 110 kg, but we love that you have an included CE certification. Plus, even if you need to assemble it yourself, that can be done without too much hassle, which is always a bonus. This Kettler Premium bike is on par with the JTX bike in terms of price, though this is less expensive. 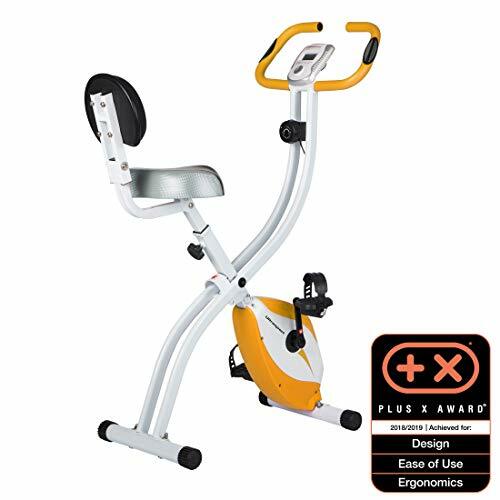 It’s also the recumbent type, one of the best in this category, and a terrific magnetic exercise bike, with 16 different resistance levels, more than the JTX has to offer. You also get 12 exercise programs so you can adjust the intensity of your workouts according to your fitness level, and just like the JTX bike, you’ll be getting an extra chest strap. The best news about this is that it’s Polar-compatible, so you can pair it with other Polar devices or apps. We love the LCD display, that’s very easy to use and to read, although it’s a monochrome LED so it’s not the most impressive on the market. You’ll constantly get readings of your speed, calories, distance, along with the time. But the LCD isn’t the only user-friendly characteristic, you will also fall in love with the comfortable seating, and how safe and secure you’ll feel while seating down. The handlebar and frame contribute to this feeling too, but they also allow you to get on-and-off the bike without any hassle. That’s really great for everyone, but particularly for motor-challenged people. So this is a versatile bike, that can be used both by fitness gurus or people recovering from injuries. However, keep in mind that, just like the JTX, this bike is huge and crazy heavy, so you need help carrying and assembling it. Besides, the setup instructions are pretty poor, oscillating between very simplistic and extremely intricate diagrams. Spinning bikes offer you a similar feeling to that of a real bike, and in order to mimic this rolling motion, they have perimeter weighted flywheels that create momentum. You will also have a more natural, aerodynamic position on these bikes because the seat and handlebars are at the same height. 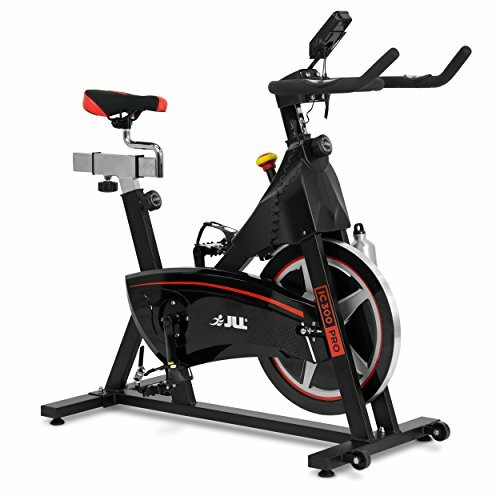 The JLL IC300 may just possibly be the best spinning bike on the market, there are plenty of features that recommend it for that purpose, starting with its smooth, 20 kg flywheel that spins without you even feeling it. Besides, there are no vibrations when it moves, which makes it really comfortable and fairly silent. Besides, this is a direct belt driven bike, so it feels like you’re actually pedaling on a real mountain bike. With its magnetic resistance and 3-piece crank system, this bike is really sturdy and reliable, though it’s quite heavy. The 7-function PRO display monitor is another strong point, you’ll get very accurate readings of all your stats including RPM and pulse thanks to the heart rate sensors that are built in the handlebars. Speaking of the handlebars, we love their comfortable grip and ergonomic feel, just like the seat which is fully adjustable. The emergency stop system is another definite plus, while the built-in wheels are a dream for people who don’t have a lot of space and are looking for a portable bike. However, the seat might need retightening every so often, and the highest resistance isn’t much of a challenge for expert spinners, which is why we think this bike is better for intermediate spinners. Still, we appreciate the 12 months home use warranty, the valuable ROHS CE certificate, as well as the 130 kg max user weight. Another one of the best spin bikes for home use, this bike has a similar price range to the JLL IC300, which places it right in the middle of the price pool. It has some awesome features like its 22 kg perimeter weighted flywheel, that’s really sturdy, albeit a bit squeaky. With its multi-functional trip computer, you can get accurate readings of your speed, current and total distance, time, and calories. We love that the seat is adjustable, and its 2-step mechanism for doing that is really easy to operate, so you can adjust both the seat height and depth. However, you only have three increments for locking the seat, so there aren’t a lot of positions to choose from. The saddle is really comfortable and supportive, and we love the RACING handlebars that offer a perfectly ergonomic non-slip grip. Besides, the pedals are anti-slip too, we love the toe cage and strap stabilizers on the pedals, as well as the rubber-coated non-marking wheels. There are variable resistance levels with a smooth transition between them, while the emergency stop is really easy to use. The transport wheels are a plus in terms of portability, but remember that this is quite a heavy bike. That said, the warranties are quite good too, ranging from 1 year for the pedal chain and brake pad, to 3 years for the frame. In our indoor bikes reviews, we’ve taken you through a series of great exercises bikes. We’ve selected the best upright, recumbent and spinning bikes, each with their own different set of characteristics and price ranges, so now you have a wide array of choices right at your fingertips. And hopefully, our introductory buying guide helped you make the right choice. What bike seems like the best for your needs? Which one would you never get?